A recent press conference ended in mayhem after White House Press Secretary Sarah Huckabee Sanders insisted to a gathered crowd of journalists that everything she said was false, even this. 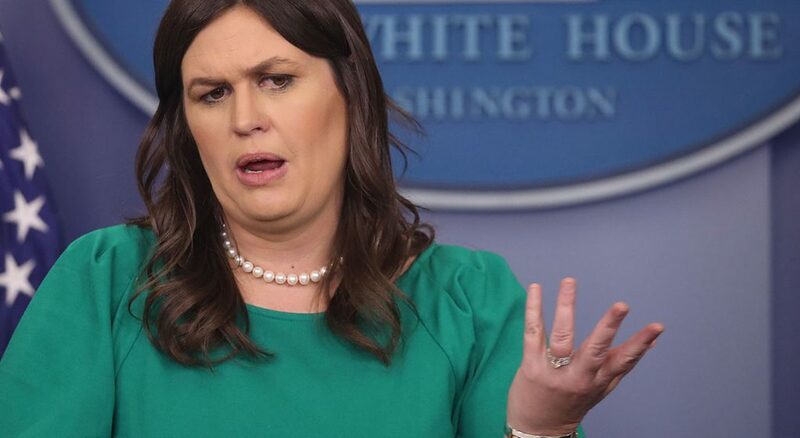 The statement, given in response to a question about President Trump’s stance on Yemen, left all in the room but Huckabee Sanders deeply, clinically perplexed. “She told us that everything she said was a lie — fair enough,” mumbled a visibly shaken Hallie Jackson, chief White House correspondent for NBC News, as she sat in an ambulance beneath a thin wool blanket. “But then it occurred to me: if everything is a lie, then even the statement about everything being a lie is, itself, a lie.” Jackson broke into sobs at that point, prompting an attendant EMT to note that she — and the rest of the White House Press Corps’ — had finally been driven mad upon realizing that, if the statement was a lie and thus not everything was a lie, the statement was therefore not a lie and was, in fact, true — by necessity making itself a lie again. Univision’s Fernando Pizzaro reported that, upon entering the press room, he had been prompted to answer “these riddles three,” but could not say a word before Huckabee Sanders threw a cloud of powder into the air and raced out of sight. He expressed his sympathy for Jackson and other deeply-affected journalists but stated that, while bewildering, Huckabee Sander’s claim that she “lives in the shadows but speaks in the light // For I am she whose words are not quite” was not the strangest thing to happen in the Trump administration that week. At press time, President Trump had responded with a tweet demanding that Democrats explain to him how it’s possible for something to get wetter and wetter the more it dries.